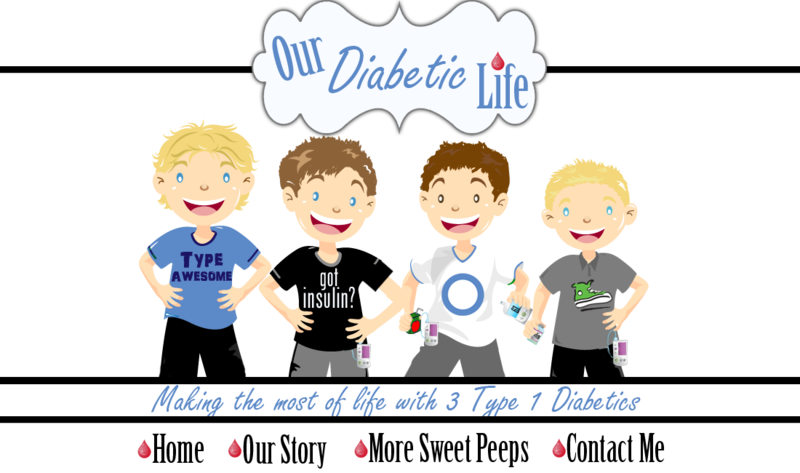 Our Diabetic Life: TCOYD...and me! TCOYD (Taking Control of Your Diabetes) is a charitable organization whose sole purpose is to motivate those that have diabetes to take a more active role in their health. 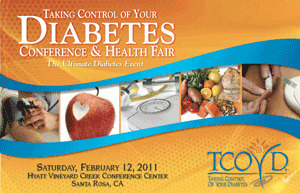 They educate, motivate and provide tools to help those with diabetes succeed in all they do! They have awesome conferences that take place throughout the United States. One of those conferences happens to be NEXT WEEK in my neck of the woods. Amy of Diabetes Mine is leading a session on “Living with Diabetes Online,” and she was kind enough to ask me and Landileigh to join her panel to relate some of our experiences. I have never been to one of these conferences, but after reading the information, I am completely intrigued! 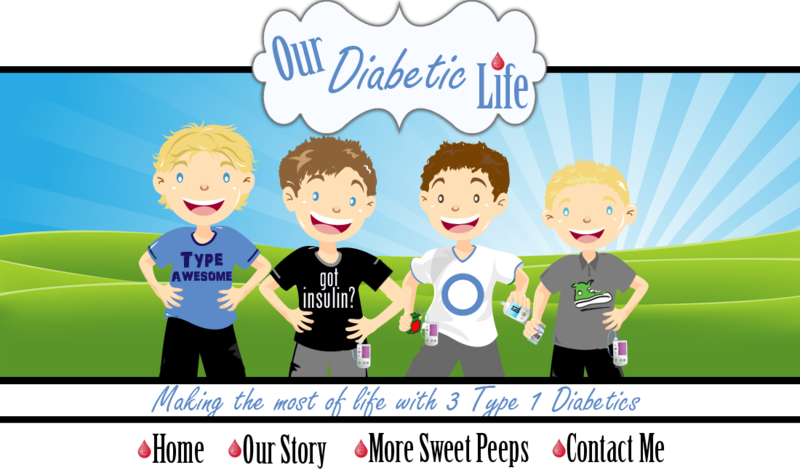 The conference is for type 1’s and type 2’s and will cover everything from handling the emotional roller coaster of diabetes, to cooking demos, to an open session with a lawyer to answer questions about health care, employment or DMV issues. And Olympic Gold Medalist Billy Mills will be there! And I will be there! Holy Hannah! If you live in the Bay Area, I think you need to come! If you are around, please come and say hello. I will be super lost…and scared…and nervous! This will be my first time at this rodeo, but I’m excited to get the word out about this virtual world that has changed my life for the better! The more on the bandwagon the merrier. We don’t need to be lonely in this disease anymore. Friends are waiting! I’m honored to be part of such a great event! that's awesome! congrats! i wish i was in the area! Awesome!!!! I went to the one held last year in Providence, RI and it was a terrific experience. I can say first hand, the session are really great. And how could they not be, with you on one of the panels!! Yay! So glad you'll be there! I am so jealous Meri! Have a wonderful time and educate us all afterwards! Have fun! If I didn't have a nursing baby, I would be there to cheer you on. And do the wave. Perhaps I could do a cheer routine for you. Then to top it all off at the end, I would streak. Because running naked is funny. 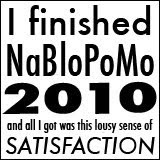 Seriously, congrats. They Bay Area is going to get schooled... Meri-style! Oh Congrats dear Meri! You will be the HIT of the panel! They are lucky to have you to share your views and your philosophy. We want pictures when it's all done of course! You will do great! I can't think of a better person to do this Meri! You help so many people and bless so many lives...We will be rooting for you! I loved hearing about your sweet cousin, Todd. God bless Guardian Angels, indeed. For the Love of Pete!!! People need to get registered for this thing ASAP! A chance to meet you IRL! I sooooo wish I lived closer Meri. I would be there in a heart beat! You will do great. I cannot wait to hear all about it...well "read" all about it. Thats so exciting!!! I hope you have a great time, and can't wait to read all about it!!! I wish so badly I could be there!!!! But I'll be cheering you on, my friend!!!! CHEERING YOU ON! This sounds amazing, Meri! Congrats, you will do great!!! I only wish I could be there, how fun would that be?! Can't wait to hear all about your adventures at TCOYD. I would LOVE to be there!! I can't wait to hear all about it! Meri, I heard your story yesterday at the TCOYD Conference in Santa Rosa, and I must say, hearing your words were so much like how I feel all the time. It was great to get some information on where to connect with people. I live in Santa Rosa and have an 11 year old daughter that was diagnosed in July 2010. Thank you for this site and the information you share.